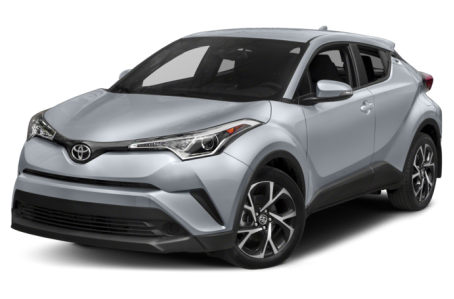 The 2019 Toyota C-HR is a subcompact SUV that seats five passengers. It has a maximum cargo capacity of 36.4 cubic feet with the rear-seat folded down. Three trims are available: LE, XLE, and Limited. The C-HR is powered by a standard 144-hp, 2.0-liter four-cylinder engine mated to a continuously variable transmission (CVT) and front-wheel drive. Fuel economy for the C-HR is an EPA-estimated rating of 27/31 mpg city/highway.